You are currently browsing articles tagged snow. Weather records began at Reading University College (as it was then) back in 1901, but in all the years since we’ve never had a March day as cold as yesterday, Thursday 1 March 2018. 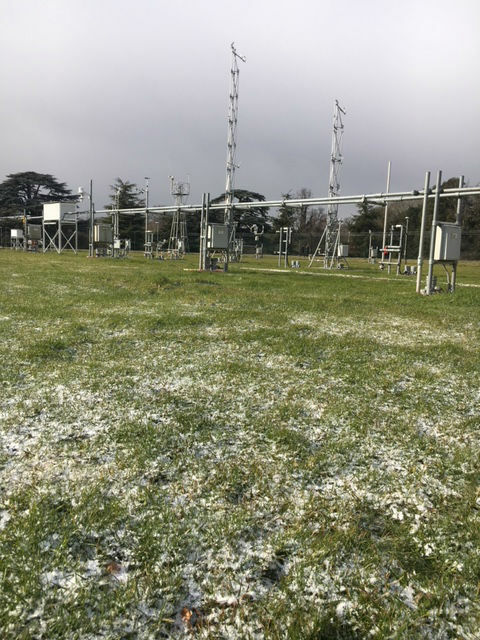 At noon yesterday, the temperature stood at just -3.5 °C, and with a strong north-easterly wind the windchill value made it feel more like -10 to -12 °C – approaching frostbite thresholds. Snow fell and drifted throughout the day, although fortunately Reading didn’t see as much snow as in other parts of the country, and the temperature rose very slowly throughout the day and into the night as less cold air associated with storm ‘Emma’ began to push in from the south. The temperature finally reached a balmy (or it is barmy? This is the first month of Spring, after all!) -0.9 °C at 2am, according to our automatic weather station within the campus’s Atmospheric Observatory. 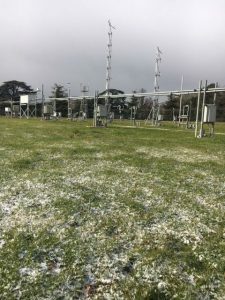 In over a century of weather records, this was only the third March day to remain below freezing throughout, and easily surpassed the previous coldest March day – 6 March 1942, when the day’s highest temperature was only -0.6 °C.